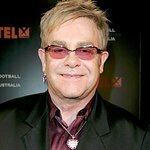 Sir Elton John and David Furnish will host the Elton John AIDS Foundation (EJAF)’s 25th annual Academy Awards Viewing Party on Sunday, February 26, 2017, at West Hollywood Park in Los Angeles. The gala event is supported by Presenting Sponsors BVLGARI, Neuro Drinks and Diana Jenkins. The Foundation’s Academy Awards Viewing Party is the most highly visible and successful fundraising event in Hollywood on Oscar night. Over the past quarter century, this annual event has raised more than $56 million, thanks to the generosity of EJAF’s supporters. These funds help the Foundation to make a real difference in the lives of people at risk for or living with HIV/AIDS, including urgently needed medical care in the Caribbean, innovative treatment and prevention programs in the Southern United States, and national initiatives addressing the HIV/AIDS epidemic in the United States, Canada, and Latin America. This year’s event co-chairs are Mahershala Ali, Tim and Jane Allen, Alessandra Ambrosio, Beck, Carrie Brownstein, Naomi Campbell, Jim Carrey, Ciara, Chris Colfer, John Demsey, Jennifer Kelly Dominiquini, Michael Douglas, Ava DuVernay, Stéphane Gerschel, Fin Gray and Michael Melnick, Miranda Harper, Luke Hemsworth, Tommy Hilfiger, Gaby Hoffmann, Stephanie Horbaczewski, Diana Jenkins, Caitlyn Jenner, Quincy Jones, Heidi Klum, Beyoncé Knowles-Carter, Diana Krall and Elvis Costello, Ryan Kwanten, Padma Lakshmi, Amy Landecker, Fred Latsko, Shelley Lazar, Sandra Lee, Jared Leto, Judith Light, Eugenio Lopez, Rob and Sheryl Lowe, Eric and Janet McCormack, Joe McMillan, Lea Michele, Matthew Morrison, Daniel Paltridge, Katy Perry, Tyler Perry, Andrew Rannells, Issa Rae, Tracee Ellis Ross, Zoe Saldana, Jane Seymour, Steve Sims, Kevin Spacey, Britney Spears, Sharon Stone, Steven Tyler, and Denzel and Pauletta Washington.